To celebrate four of Adidas most popular recent silhouettes, Jon Wexler was recently gifted a custom set of wine bottles. 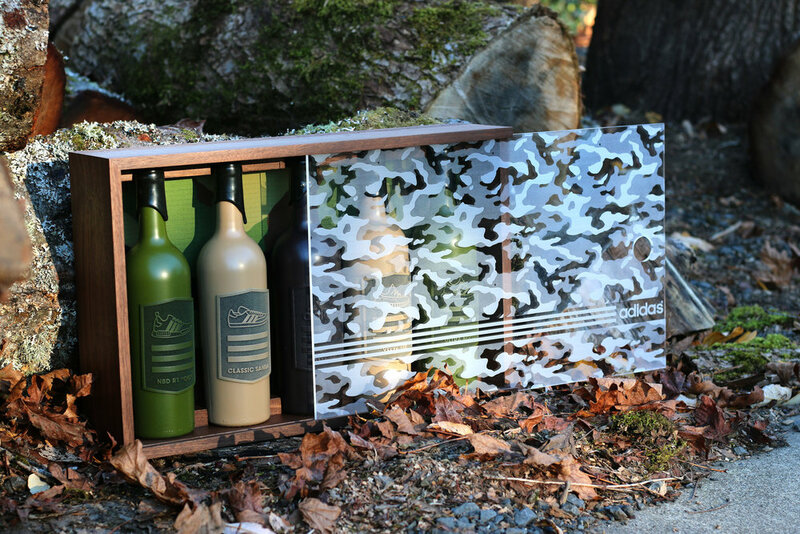 Coming in a camouflage-printed box with a camouflage glass screen, the bottles pay tribute to the YEEZY BOOST 350, the NMD R1 “OG,” the Samba and the Ultra BOOST silhouettes. The fifth and final bottle in the set simply features adidas’ Three Stripes logo.